Strange times make for strange bedfellows. Well at least for strange sheet-fellows. 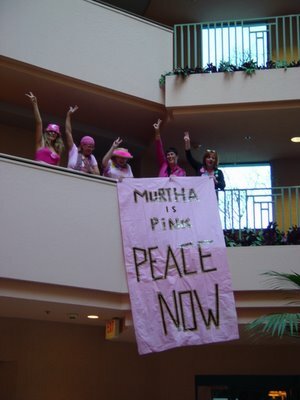 CODEPINK Tucson and CODEPINK Phoenix dropped a banner during the State Democratic Committee meetings Saturday in Tucson to encourage Arizona Democrats to work for peace — like Murtha. 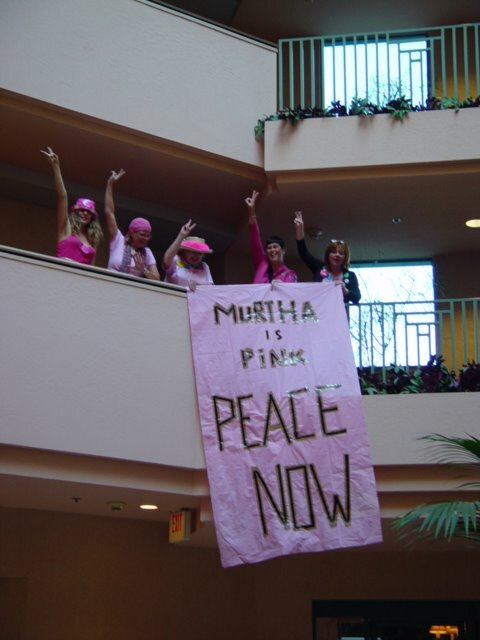 While they come to the mutual position — that the troops need to get out of Iraq now — from completely different places, when such divergent perspectives can join together, you know something profound is happening.